The original version of Random Acts of Genealogical Kindness (RAOGK) closed in October of 2011. Now, it appears that an effort is being made to get RAOGK going again. There is a GoFundMe fundraiser that was posted in January of 2017 and that is still accepting money. Random Acts of Genealogical Kindness (RAOGK) is a global volunteer organization. Volunteers agree to do a free genealogy research task at least once per month in their local area as an act of kindness. The volunteers have agreed to donate their time for free. People requesting a random act of genealogical kindness must pay volunteers for their expenses incurred while fulfilling that request (if the volunteer asks for reimbursement). This can include paying for: copies of records, printing fees, postage, film or video tape, parking fees, etc. It seems fair for volunteers, who are doing a genealogical act of kindness for free, to get reimbursed for expenses relating to the completion of a request. It is advisable that you read the FAQs before you make a request from a RAOGK volunteer. It provides important information that will help you understand how things work. Some of it might be described as “common sense”. You must be registered before you can make a request for a RAOGK volunteer to do a genealogical task for you. Use the RAOGK website to locate a volunteer in the area where the information you are seeking is located. Make sure you select a volunteer that has stated that they are willing to do research in that area. Do not make requests for a volunteer to look up information for you if you live up to 50 miles from where the information is located. The best way to use RAOGK is to seek assistance from a genealogist who lives far away from you, and who is close to resources that you cannot easily travel to. 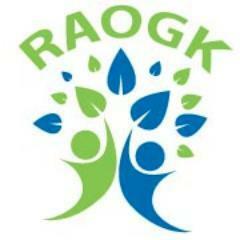 Would you like to be a RAOGK volunteer? Start by reading the FAQs. Next, register with RAOGK. Somewhere towards the top of the site is a Volunteer Listing Submission Form. It is only accessible to those who have registered with RAOGK. If you are having trouble registering, there is a Contact Form you can use to ask for assistance. Random Acts of Genealogical Kindness is all about volunteering. Have you received help from a genealogist? A great way to “pay it forward” is to volunteer with RAOGK and help someone else with their genealogical difficulty. Those that want to provide more help can donate to the RAOGK GoFundMe.